The first Manchester derby of the new Premier League season will take place on Sunday as Pep Guardiola's Manchester City will welcome Manchester United to the Etihad Stadium. Every season, the derby is one of the most talked about matches, and the upcoming clash between the two sides promises to be no different. 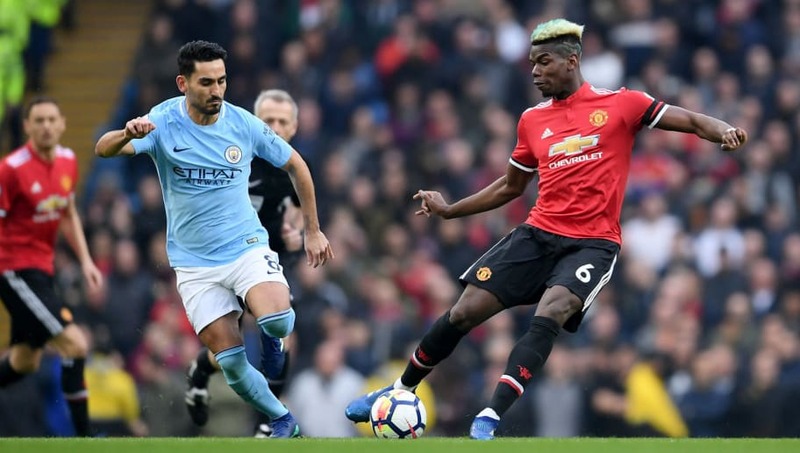 City will be keen to extend their lead over United in the league standings, whilst United will be hoping to prove that they are still a force to be reckoned with in Manchester. A tough start for United fans. The Red Devils looked to be the stronger side, but it was City who were in the lead going into half time thanks to a goal from Mario Balotelli. However, the second half was one of the darkest 45 minutes in United history. An early red card for Jonny Evans opened the floodgates for City. Balotelli, Sergio Aguero, David Silva and Edin Dzeko combined for five more goals, leaving Darren Fletcher's consolation goal to mean almost nothing as the match ended 6-1. City went on to win the Premier League title that season, and United will be hoping that they don't suffer a similar fate on Sunday. With Newcastle United looking a certainty to win the Premier League title, United made the short trip to Maine Road as they looked to recover ground on the league leaders. Eric Cantona gave United the lead with an early penalty, before Mikhail Kavelashvili equalised with 40 minutes gone. However, Andy Cole immediately restored United's lead and the Red Devils looked to be securing three points. However, a second half strike from Uwe Rosler threatened to derail United's title aspirations, until a superb strike from a young Ryan Giggs ensured United won 3-2. This meeting between the two sides proved to be one of the most controversial matches in Premier League history. Wayne Rooney netted after two minutes to give United a lead, but the score was level by half time as Gareth Barry struck past Ben Foster. United were again in front shortly after the break when Darren Fletcher headed home, but Craig Bellamy quickly levelled the score once again. A second header from Fletcher gave United a late lead, before some horrendous defending from Rio Ferdinand allowed Bellamy to net an even later equaliser. However, the madness was not over, as Michael Owen netted a 96th-minute winner deep into 'Fergie Time', despite the referee signalling for just four minutes of added time. March 2004 was not kind to United. They were eliminated from the Champions League, before being humbled by a relegation-threatened City side, effectively ending any chance of catching Arsenal's 'Invincibles'. Robbie Fowler netted after three minutes to give City an unexpected lead, before Jon Macken doubled his side's advantage. Paul Scholes pulled a goal back for United, but a Mikael Silvestre error gifted City a third through Trevor Sinclair, before a superb strike from Shaun Wright-Phillips ended the misery for United. This was the first derby to take place at the City of Manchester Stadium, and it is certainly a fond memory for City fans. With City seemingly strolling to the Premier League title, they were given the chance to secure the trophy with victory against their arch rivals. However, United were not prepared to allow that to happen. Vincent Kompany and Ilkay Gundogan gave City a two-goal lead, and it looked as though they had wrapped up the league title before half-time. Whatever was said to United during the break must have been full of inspiration, as the squad emerged ready to spoil the party. Two goals from Paul Pogba shortly after half time showed City that they would have to work hard for their victory, and they were unable to do so. 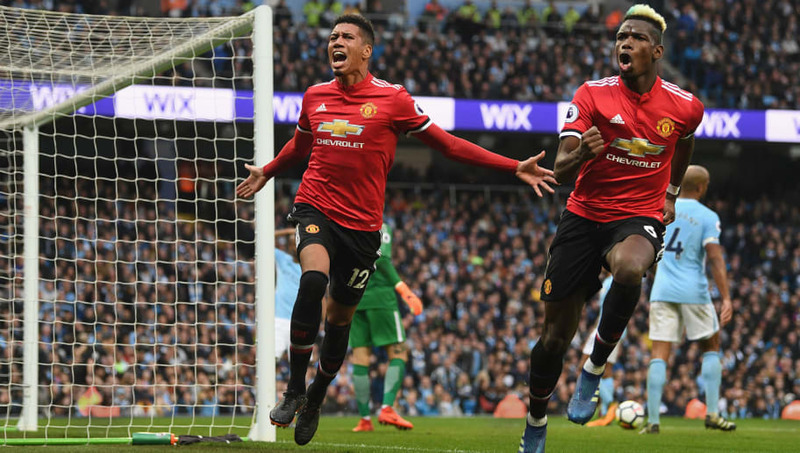 United knew that City would still likely secure the title with their next match, but Chris Smalling's winner ensured that fans went home as happy as possible.